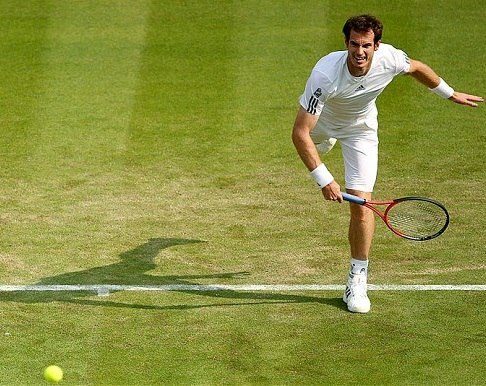 What are the peculiarities of the grass courts? The grass court season is relatively short and it consists only of Wimbledon, a fortnight of continental and Europe and British tournaments preceding it. What is also important, there are no Challenger events played on grass. That is why many young players tend to neglect this surface. Maintenance costs of grass courts are high and so they are most common in Britain than elsewhere. All the facts mentioned above create numerous problems for new generation. Young players tend to show very low results on grass. Nick Kyrgios is probably the only exception now. The Australian is cut for grass. But generally it would be more usual to see highly experienced players like Andreas Seppi, Philipp Kohlschreiber, Gilles Simon, Kevin Anderson and Nicolas Mahut prevailing at the grass championships. Grass is slippery, especially when the event is just kicking off and during the morning sessions courts are wet because of rain or dew. As a result, the footwork is obstructed and the players must be very careful. It’s not unusual for them to get foot injuries on grass. The number of opening round retirements at the Wimbledon is high and it’s not surprising. One wrong move – and the player finds himself lying on the court. Those who manage to progress to the later stages of the event are lucky and will experience less difficulties. The grass will harden up and will become much safer to play on it. Furthermore, the ball often bounces low and skids on grass. This is another challenge as the player has to bend his knees to reach the ball and produce a shot back. Of course, knees are heavily pressed then. Despite its low bounce, the ball retains its speed and there is always shortage of time to make a decent swing or to choose comfortable position for a good forehand or backhand shots. So the grass players must possess both ubiquitous forehand and backhand techniques. First characteristic of serve and return technique on grass is common for all fast courts: the speed of the first serve must be at least 110 mph. If it’s slower, the player will hardly reach top ranking positions. The same holds true about the second serve. 85 mph of the second serve will provide the player with a significant advantage. That’s why such big servers as John Isner, Ivo Karlovic are very dangerous opponents on the grass. As for the rate of the serve points won, on grass better to sacrifice speed to retain accuracy. It’d be more reliable to serve at 100 mph and to hit the ball right to the point, rather than hit a risky one at 120 mph. It’s worth pointing out that the serves with a low bounce are especially efficient on the grass. Among the most successful servers with a low bounce are Roger Federer, Ivo Karlovic, Jiri Janowicz. All of them produce top-notch server difficult to receive. What about the American giant John Isner? Well, due to his big height he produces high bouncing serves which are powerful but not lethal for the opponents. The return also has its specifics on the grass. There’s no need to be proactive on return, it’s enough just to hit the ball back to the other side of the court. Stan Wawrinka and Roger Federer are masters of defensive returns on the grass that are very efficient. This too mental issues are probably the most crucial when playing on fast courts. Fast reaction is necessary on return and shooting the balls from the baseline and in the net zone. Probably, the most reactive players on tour today are Novak Djokovic, Roger Federer, Kei Nishikori, David Goffin and Denis Kudla. As for concentration, it’s important to maintain focus and exclude concentration lapses. The struggle on fast courts doesn’t imply a lot of break points so the cost of every error is extremely high. Shortly speaking, you can’t lose your serve hoping to convert a break point later. Unlike the clay, where the body exhausts faster, on grass your head will blow up first. On grass tennis players have to be offensive and to attack as much as possible. Those of them who can’t apply pressure on their opponents (Pablo Cuevas, Garcia-Lopez, Granollers, Vesely, etc.) will find it hard to succeed on grass. They have to be better prepared functionally to get other weapons besides throwing the balls over the net. Now let’s see how the pressure can be applied on grass. First off, traditional service play and comings into the net may be more than enough. This is style delivered by aging players in opposition to the youngsters who mainly hone their baseline tools they’ll also use on challengers. The combination of service play and attacking the net is cut for getting easy scores on the player’s own serve. Vivid examples of masters of such techniques are Ivo Karlovic, Feliciano Lopez, Gilles Muller, Sam Groth, Nicolas Mahut. Another style is playing with a soft hand. Applying this style, the player focuses on shot-making accuracy. There’s no need to hit booming aces. One hot down the line will be enough to get the point. The representatives of this style are James Ward, Bernard Tomic, Bautista-Agut, Andreas Seppi. The third style is playing with forecasts edging the rival by a couple of steps. The player using this style on fast courts is a dangerous opponent. Therefore, this technique has lately gained much popularity. As, unlike the two mentioned above, it is efficient on all surfaces and brings points when applying efficiently. 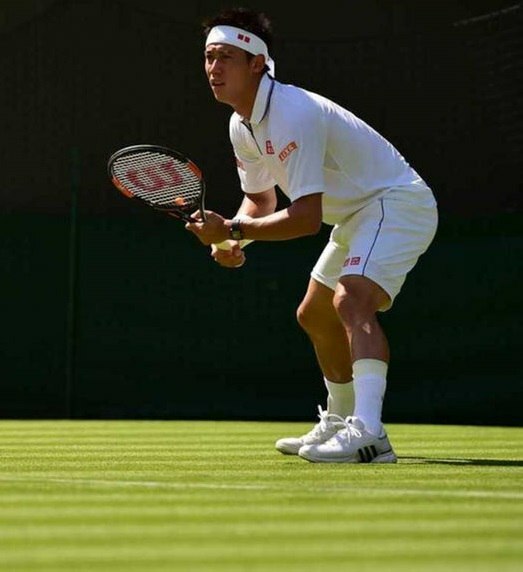 Kei Nishikori is the master of this style. The Japanese shows good timing and takes the ball pretty early to process it. David Goffin, Lucas Pouille, Denis Kudla, Alexandr Dolgopolov and Hyeon Chung also deliver similar tennis. And finally, big hitters. When on grass, their tennis style has much in common with the first one. They deliver the big serve and get huge advantage but don’t rush to the net. They finish the point from the half court with the second or serve shot. This style is less effective as they wait for the ball bounce, which is unpredictable on grass. Milos Raonic, Stan Wawrinka, Kevin Anderson, Tsonga are favorites of this style. It’s not easy to choose a proper strategy when betting on grass court matches. Luck and chance may greatly influence the final results. One point may change the score on the scoreboard and your profit. And it will be very difficult to predict how this only point will be played. Another matter of interest is tiebreaks. Many sets on grass go to tiebreaks and most handicap markets are focused somewhere between -2.5 and -3.5 It implies 1 or 2 breaks with no response. Another peculiarity is that the grass-swing starts immediately after the French Open. And it’s very hard to adapt from the high bounce of the slow clay to unpredictable grass. You may see -4.5 handicap and lots of break points in one match and -2.5 with only one break point in another one. But there’s also good news. Clay courts are heavily overestimated on starting grass events and are highly motivated to succeed now winning against those who stayed longer on clay and didn’t have time to prepare for lawn tennis. Be careful with huge handicaps like -4.5 and -5.5. The -4.5 handicap implies that the favorite will convert two unanswered break points and will serve first. But will he actually be the first to serve? That’s the guessing game and consequently the handicap has no value. The -5.5 handicap is very difficult to cover in the best of three sets format as the favorite has to show strong performance, while the underdog has to fail the encounter. Keep your eye on the aging and experienced players. For many of them grass-swing is the way to earn for a living and stay on tour. They get the points for the entire tennis year and use them to qualify for Masters and Grand Slams.